Vandaag wordt bekend of Portsmouth geliquideerd gaat worden of dat ze morgen nog bestaan. Ik hoop het laatste, want ik he been zwak voor de club. Voor de fans is het helemaal een ramp. Ik sprak Andy Dobbs, een die-hard Pompeyfan die de laatste tijd door een hel gaat. Aangezien vandaag de uitspraak is en ik pas net terug ben uit Berlijn en niet de tijd heb om het te vertalen, hierbij zijn artikel in het Engels. Ik ga er van uit dat iedereen het wel kan lezen. At around 5 PM on the 17th of May 2008 I, along with 24999 others in attendance, saw Sol Campell lift the world’s oldest and most famous club cup trophy. It was the first time in 2 generations that Portsmouth had achieved this feat and as a result the city went mad. The following day, and back in the city, a parade of the F.A. Cup saw 250,000 people pack the streets to welcome home the heroes of that famous day and to celebrate a return to the big time for the South Coast’s most famous club. A famous 2-2 draw, with us being 2-0 up with 5 minutes remaining, against the might of AC Milan (Kaka, Ronaldinho included) really set fans up with the belief that we had hit the big time, despite the loss of Harry Redknapp for a second time. Yet within 10 months of this, the club was thrown into turmoil and now stands on the brink of destruction. Where did it all go wrong? Why? 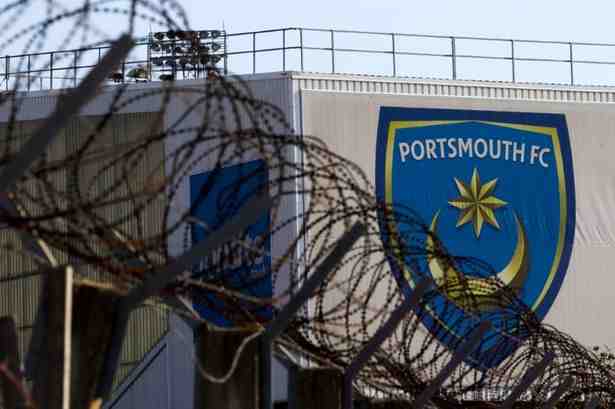 The history of Portsmouth Football Club is fairly chequered. Formed by a group of local businessmen in 1898 from the demise of the local Army Garrison side (which included Sherlock Holmes Author Dr Arthur Conan Doyle as goalkeeper), it rose from non-league to eventually being introduced to the Football League in 1920. Within 7 years the club was into the first division and managed to play in 3 F.A. Cup finals before the outbreak of World War 2. The last of those was in 1939 when the club won its first major title beating Wolves 4-1. As a result the club held onto the famous trophy for 7 years. After the war ceased the club continued on it success and in 1949 it won the Championship for the first time, the following year it repeated its success. Sadly this success was not sustained and in 1959 the club slipped out of the top flight. By the mid 70’s the club was a regular in the second division, however this came to an end in 1976 when the club dropped into financial meltdown. This first period saw the club on its knees and in the days before administration there were two options. Either find the money to clear debts OR go bust. Thankfully the SOS Pompey campaign helped the club to survive and then Southampton based builder John Deacon took control of the club and we survived. Deacon held the club in his charge as we slipped into the 4th division for the first time in our history. But Deacon wanted success and within 11 years of being on the point of closure he had seen the club go from 2nd Division to 4th and then rise through the leagues back to the 1st Division under the manager Alan Ball – at the time the only champions of England to achieve this feat. Once he had the club back in the top flight, Deacon lost interest. Invested heavily, and ultimately unsuccessfully, into the cities basketball side as the sport became fashionable in the late 80’s. Deacon saw the club relegated in 1988 and sold out to Jim Gregory, the man who had turned Queens Park Rangers into one of the foremost clubs in England at the time. Gregory was quick to act and immediately patched up Fratton Park and vowed to build the club a stadium fit for the future. He also brought in Jim Smith (who had been manager under him at QPR) and this move saw the club into its first FA Cup semi-final for 42 years and to within 1 goal of being promoted into the relatively new FA Premier League. Sadly for the club 2 things happened in very short succession. Firstly, Gregory’s dream of a new stadium on the outskirts of the city in Farlington was shattered by a combination of brent geese and Conservative voters. Secondly he fell into pretty poor health. Gregory handed the club into the control of his son Martin. Almost immediately the club fell into difficulties again. Martin had none of his fathers business acumen or interest in the club and finances began to dry up. In a desperate measure he brought in Terry Venables to act as chairman. Venables was a disaster and the club was eventually forced into administration. Venables even managed, despite his failure, to earn a six figure sum as a performance bonus. He left the club adrift at the bottom of the table with less than half the season remaining. Alan Ball returned to help the club he loved out one final time. Administration, at the time, incurred no points penalty which proved vital as the club managed to stay up on the last day of the 1998 season and, at the same time, relegate Manchester City to the third division for the first time in their history. This was a massive boost to the club and that boost was further added to when the administrator struck gold with a new owner. Serbian / American business man Milan Mandaric. Mandaric immediately began to spend, further promises of a new stadium came about, to the point where he was pictured sat on a digger taking the first cut of the land where the stadium was to be built (adjacent to the existing ground). He intent was further signalled when Robert Prosineski came to the club – truly a world class player superior to any other in the division. But success on the pitch still didn’t materialise and Mandaric became known as a hired gun and fired a succession of managers in close succession. This included Alan Ball and Tony Pulis (both were given less than 8 months in the job). The last manage to feel the wrath was Graham Rix who knew his number was up when Harry Redknapp became director of football. Mandaric also brought in Peter Storrie as chief-executive (these names will prove vital as the story continues). Redknapp, reluctantly, agreed to replace Rix and Mandaric backed him up with several key siginings for a push for promotion. This included Paul Merson, who joined as the 2002-03 season began. That season was a triumph and Pompey stormed to the Premiership to join the big boys. Our first season was tough but we comfortably stayed up and almost on two occasions managed to be the only side to spoil the invincible Arsenal side. The following season, the cracks began. There was still no movement on the ground front, then Mandaric demanded that Redknapp remove his number 2, Jim Smith, and bring in Mandaric’s choice of Director of Football Velamir Zajec. Redknapp took umbridge to this and promptly walked out the club to join Southampton (a crime not forgiven by some). Mandaric then began to slow down on purchases and started to sell or release players in the squad, we slipped to the bottom of the table and relegation became a certainty. But there was another twist in the tail. An Israli-Russian billionaire Alexandre (Sasha) Gaydamak took the club from Mandaric for a huge sum. Pompey had hit the big time, Redknapp (fresh from relegating Southampton – many of us forgave him for this) came back with tail between his legs to the club ‘that was always in my heart’. He managed to keep the club up, with numerous new signings funded by Gaydamak. The spending did not stop right through back to that magical afternoon at Wembley. As the new season began, Redknapp smashed the clubs transfer record by signing back Peter Crouch from Liverpool for £11.5 million. The fans were in dream time. We had won the cup and were now into Europe. Then, out of the blue, Redknapp left us again. This time the lure of Spurs proved his motivation but as he went he sent out a passing shot stating that the club was broke and on its knees. Storrie immediately denied this fact. Within weeks however, Gaydamak announced he was selling the club to Sulaiman Al Fahim. This was the guy who had fronted the bid to buy Manchester City. However the money had dried up and the squad was decimated. Several players left the club in the summer – many of them for below market value to Spurs. Even with a much poorer squad, the club continued to find difficulties and in October 2009 announced it had not been paying players wages. Al Fahim did not have the monies to back up his claims and had to hand possession of the club to a mysterious man by the name of Ali al-Faraj, he became known amongst fans as Al Miraj as he was never seen at the club and his actual existence was in some doubt. A Hong Kong business man by the name of Balram Chainrai took the club off Al Miraj after it became apparent that he had funded the loans for the take over. Chainrai then discovered the debt of the club was in excess of £135 million. The season got off to a disastrous start and Avram Grant was brought in to save the club. Almost as soon as he arrived, the club admitted it had failed to pay wages and the Premier League placed a transfer embargo on them. It went from bad to worse as in December 2009 HMRC filed a winding up order against the club for failing to pay taxes. The club chose administration again and were immediately docked 9 points which condemned us to relegation. Despite all this, Grant managed to take Pompey to a second Cup Final in two years (beating Redknapp’s Spurs in the semi-final). Sadly Chelsea proved a little too strong and we lost 1-0. In June 2010 the debtors of Portsmouth agreed to the clubs proposed Compulsory Voluntary Arrangement (CVA) which paved the way for us to come out of administration. This allowed (after appeals from HMRC) Balram Chainrai to take the club over. Chainrai kept control of the club until June 2011 when he found a willing buyer in CSI, ran by Russian Vladimir Antonov. The club were also able to sign new players for the first time in 18 months as CSI began to splash the cash. Things finally were looking up! On the 23rd of November Antonov was issued with a Europe-wide arrest warrant. His Bankas Snoras was being investigated along with other banks. CSI were quick to announce that the banks and CSI were independent and that it was business as usual. However within a week CSI were placed into administration and Antonov resigned as chairman of Pompey. Without the backing of CSI the club fell into trouble again. And in February 2012 the club entered administration for a third occasion. This time with debts reported to be at £58 million. The club was relegated at the end of last season, but the goal of current administrator Trevor Birch is to remove the club of all high wage earners. This is with a view to one of two bids taking the club over. Balram Chainrai (again) and a rival bid from the supporters. Till yesterday were are still two players left. Liam Lawrence (who is expected to go soon) and Tel Ben Haim the Israli defender is seen by many as an example of just how poorly run the club is. Despite Portsmouth now being a 3rd division club, Ben Haim is reported to earn £35,000 a week (about 10 times the going rate) without any clauses to reduce this amount. If he didn’t agreed to walk away then Portsmouth Football Club had died. So who is to blame? There are many people who need to be considered as playing their role in the end. Milan Mandaric – promised a new stadium (Fratton Park as much as we love it could never sustain a Premiership club), failed to build it when the time was right. It also became clear that Mandaric did better out of us than we did out of him When he sold the club for a reported £30 million he also got all his money back. Sasha Gaydamak – probably the main villain of the piece. His money made us dream but he, subsequently, took everything back and it was this debt that the club has struggled to cover since. He also has bought all the land around the ground, therefore preventing a new owner from expanding the club. His father was a controversial figure and it is believed that, in reality, it was Arcady Gaydamak who was fronting the club using his son as a face. Gaydamak Senior was arrested for alleged gun running around the same time as the club hit rock bottom. Added to this Gaydamak Senior and Chainrai appeared to be bitter rivals and as a result the club is being used as a metaphorical football between the two. Peter Storrie – Storrie was responsible for transfers and contracts until he left the club (David Lampitt has to be included as he replaced Storrie). It is many of these contracts that have caused further troubles. Kanu was being signed annually on a £30,000 a week deal provided he triggered 20 appearances. Storrie agreed to sign him on a 3 year £10,000 a week deal to ‘help the club’. If Kanu was not well past his best this would prove a poor deal. It now appears catastrophic. Balram Chainrai – he has been an undercurrent throughout all our troubles, his latest claim is that the club owes him £19 million which he holds the stadium as security (its worth about £2.5 million at best). His motives appear somewhat hard to spot with many feeling he will take the parachute monies from the premiership and then run and leave us in a mess within two more years again. His appearance as a future owner again has divided supporters. Administrators – they have a job to do what is best for the business. Two administrations in 18 months suggests they have not done what they should. The current administrators had tried to steady a sinking ship but have become very public with their views on the playing staff – this has caused the players to get annoyed and possibly not co-operate. The fans – yes we are, ultimately, the victims. It is out club that is about to die and, unlike those listed above, we will be here day in and day out. But fans crave success. Nobody wants to support a team of losers and as a result of our wants and needs we have to accept that we played, all be it a very small, part in the clubs demise. Where do we go from here? Well if the club survives today then Michael Appleton has 5 days to find 9 players and 8 days to find a squad of 20 to compete in the 3rd division. Already the club starts on -10 points making relegation a strong probability. For many the best solution for the long term would see the club ‘die’ and then re-form with a new version, much the same way as AFC Wimbledon and Aldershot Town have done. Sadly we have left it so late that if this option occurs then we will have no club to support in 2012-13. It really is bleak when the options are carry on with the end likely to be delayed or end it now but go without football for 12 months and start again. What ever happens the supporters need to level off their expectations and success must now be seen more off the field of play than on it. As a man who has supported my club from 2nd division to 4th back to the top and into Europe, I have experienced a real roller coaster of support. I only hope that I can continue to sit aboard the roller coaster and its not pulled down. Dit bericht werd geplaatst in Clubs, England en getagged met FA Cup 2008, Harrie Redknapp, Milan Mandaric, Peter Storrie, Pompey, Portsmouth, Sasha Gaydamak. Maak dit favoriet permalink. Is er al meer bekend? Op de site van Pompey vind ik zo snel niets over een uitspraak…………..wel worden er gewoon tickets verkocht, dus dat lijkt positief! Veel Aziaten in het Engelse voetbal (helaas). Het ergste vind ik tot nu toe wat er in Cardiff gebeurt met de clubkleuren en bijnaam. Dat is echt schande! Tja, maar is het niet Azie of exit? Dan is de keuze snel gemaakt. Nee, de keuze is die Aziaat of fan-owned worden, zoals AFC Wimbledon. Nu alle spelers vertrokken zijn is de club verkoopbaar geworden en gaan ze voorlopig niet failliet. O, ik heb ook nog wel een eurootje over. Op Fratton Park zit een sportbestemming, daar kun je niet zomaar gaan bouwen of de gemeente moet het bestemmingsplan wijzigen en dat zullen ze niet gaan doen.